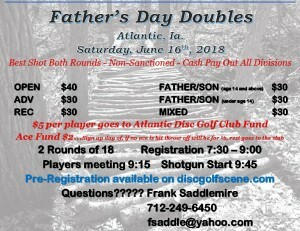 Special divisions for Father's Day. Cash payout in all divisions. TD has the right to move teams to appropriate divisions. 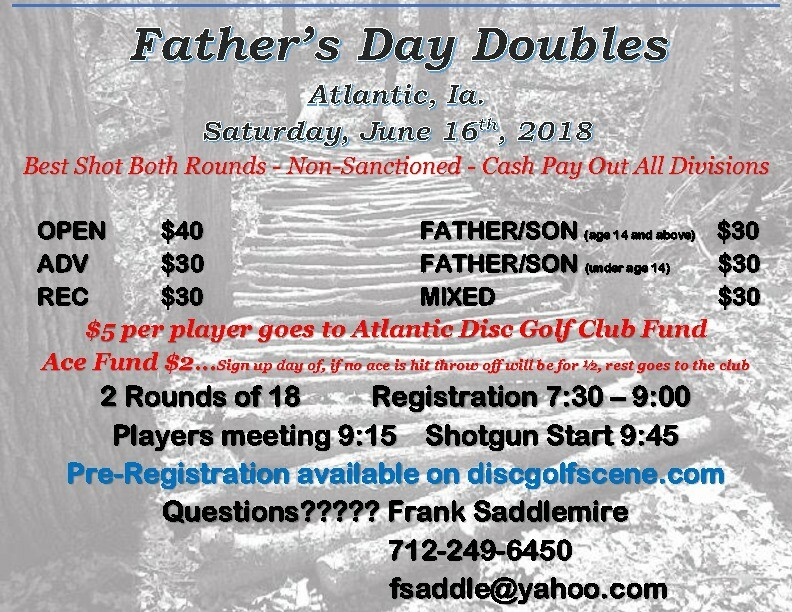 Atlantic Disc Golf Club Iowa is responsible for all refunds/cancelations.